After growing up surrounded by family members in poor health, she decided that when she grew up, she wanted to be healthy. That decision led her to complete a Specialized Honours degree in Kinesiology and Health Science. Not only does she want to be healthy herself, she wants to help others do the same. Ashley believes that moving should be fun (not a chore) and needs to be performed daily. She understands that active living and healthy lifestyle choices extend beyond working out at the gym. 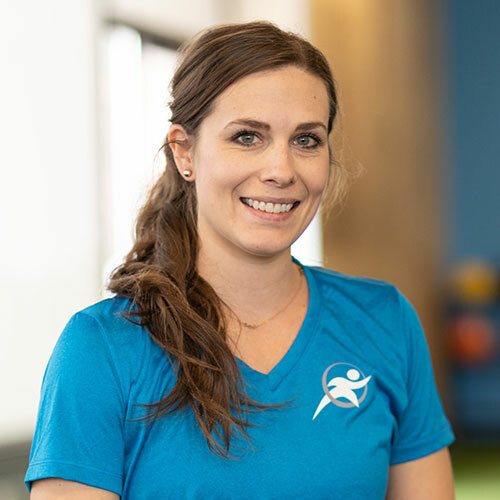 Since graduating university, she has worked in various gym settings including commercial fitness, private fitness and a boutique personal training studio. She is a part-time exercise leader for Wellspring Cancer Centre and a student at the Canadian Academy of Osteopathy. Ashley's goal is to coach you towards improved health. She will listen, teach, educate and provide motivation. She works hard to help you feel better and reach your health and performance goals through a balanced holistic approach to wellness.